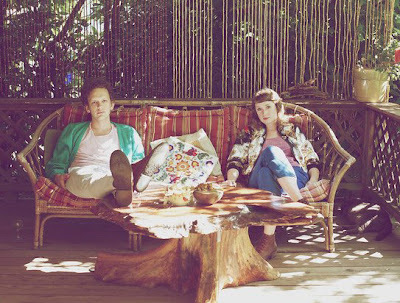 Pure Bathing Culture is a recent Portland, OR-based duo (moved from San Francisco), comprised of Daniel Hindman and Sarah Versprille, also Daniel and Sarah are known as the members of Vetiver . Both tracks are taken from their bandcamp. They’ve been recording with Richard Swift at his studio in Oregon.